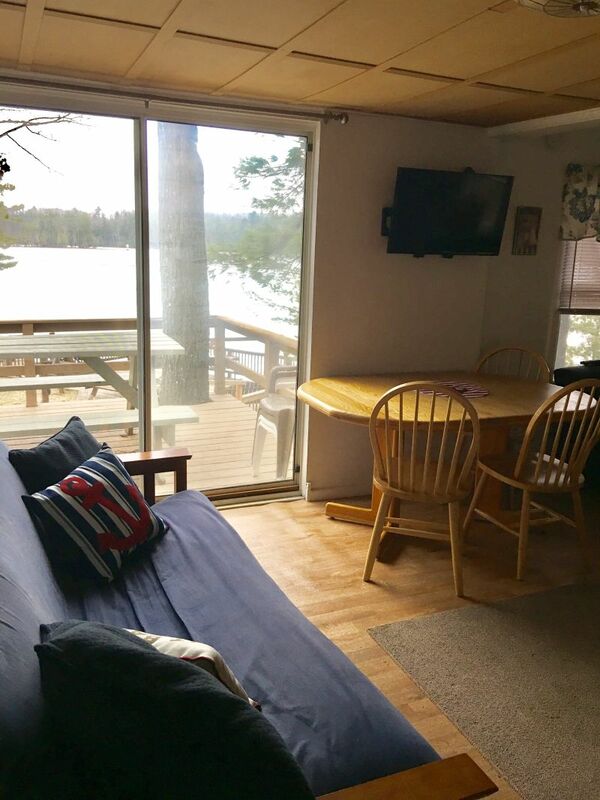 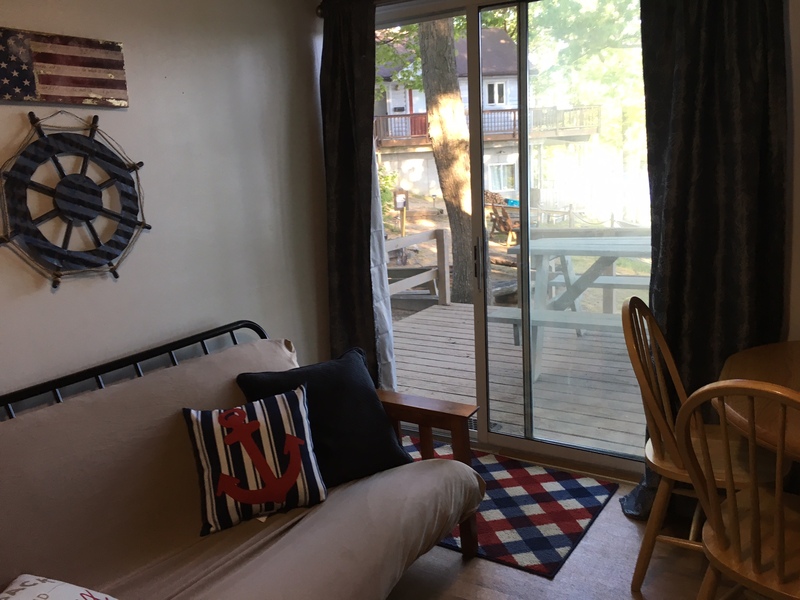 Original cabin of the resort “rustic” and comfortable – Amazing view of the waterfront from your private deck that includes a picnic table. 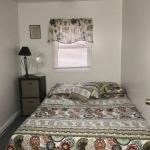 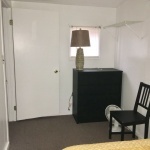 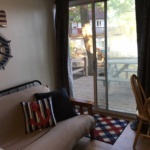 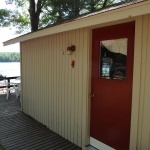 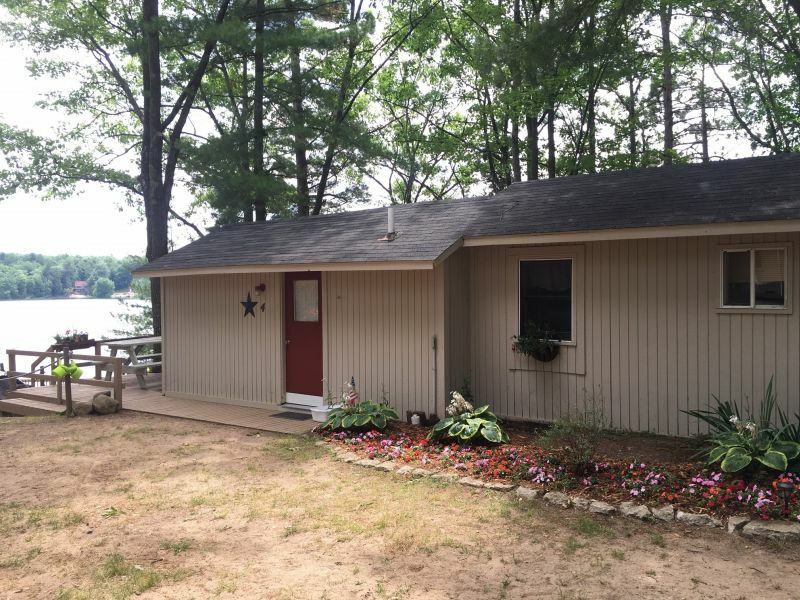 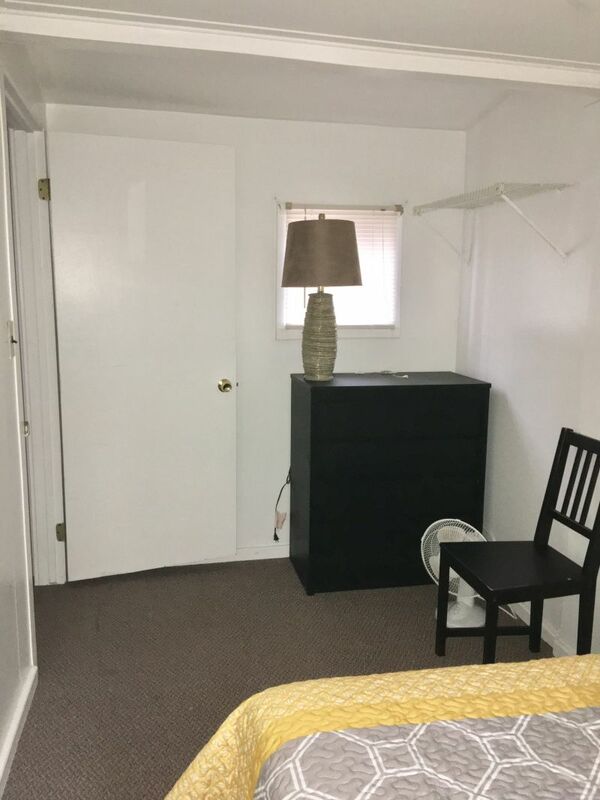 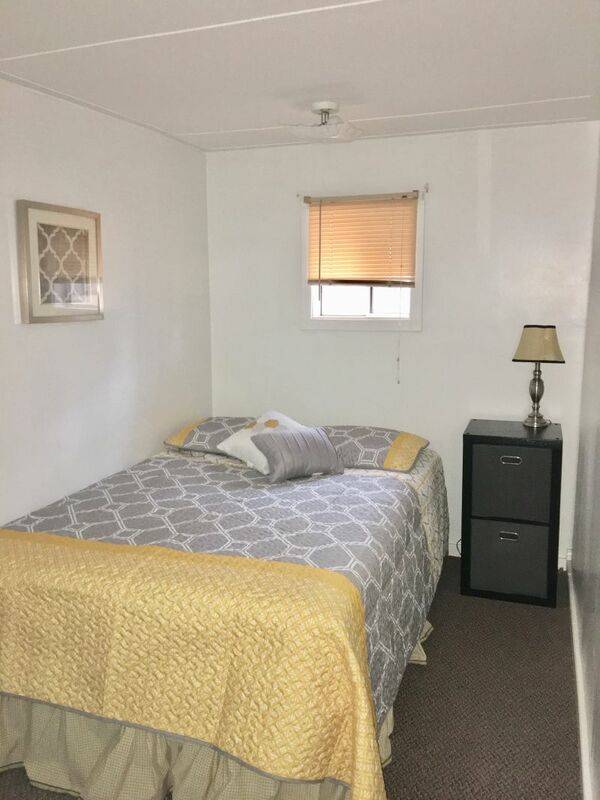 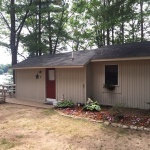 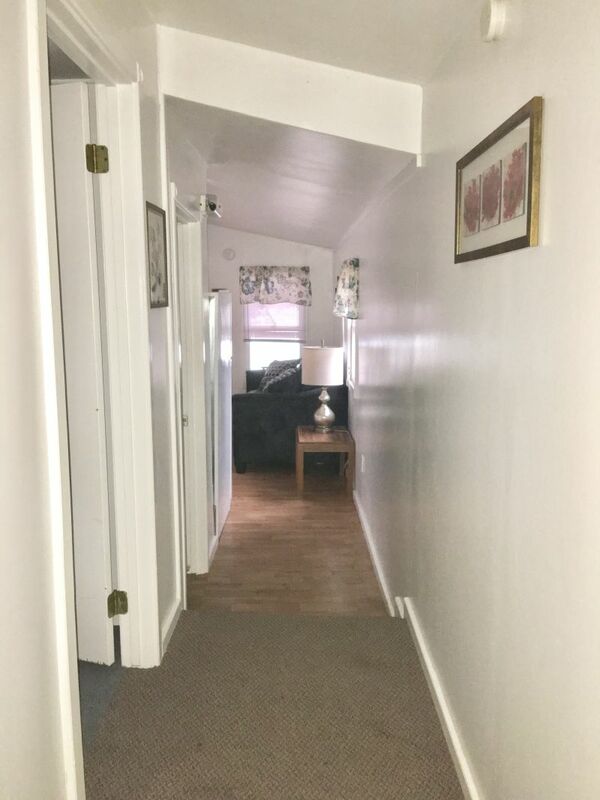 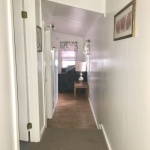 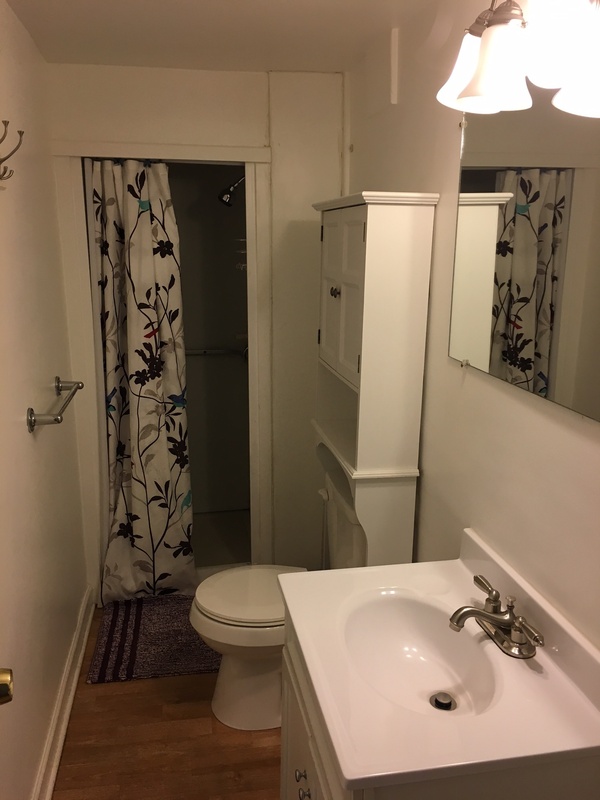 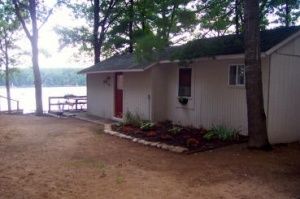 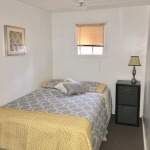 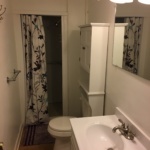 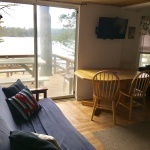 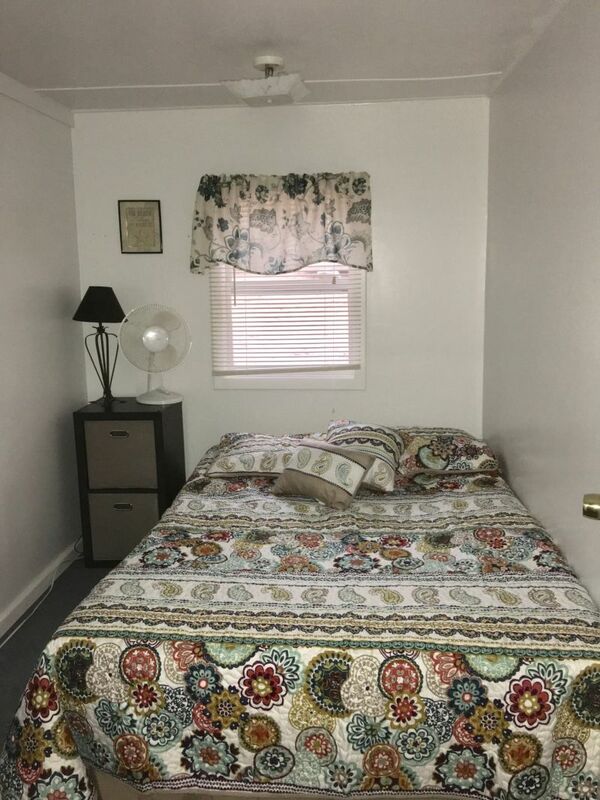 Cabin has 2 bedrooms with a queen in one bedroom and double in the second bedroom, each with and small dresser. 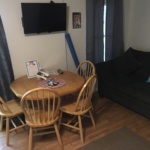 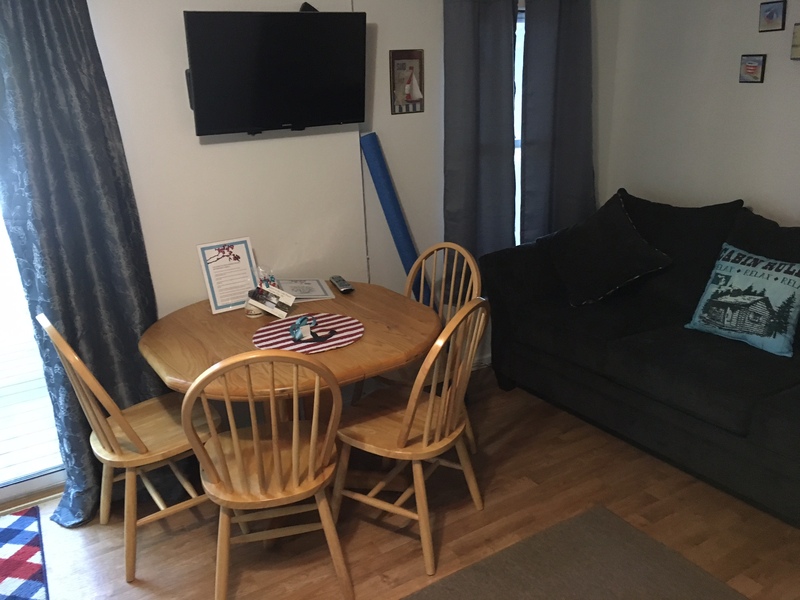 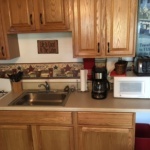 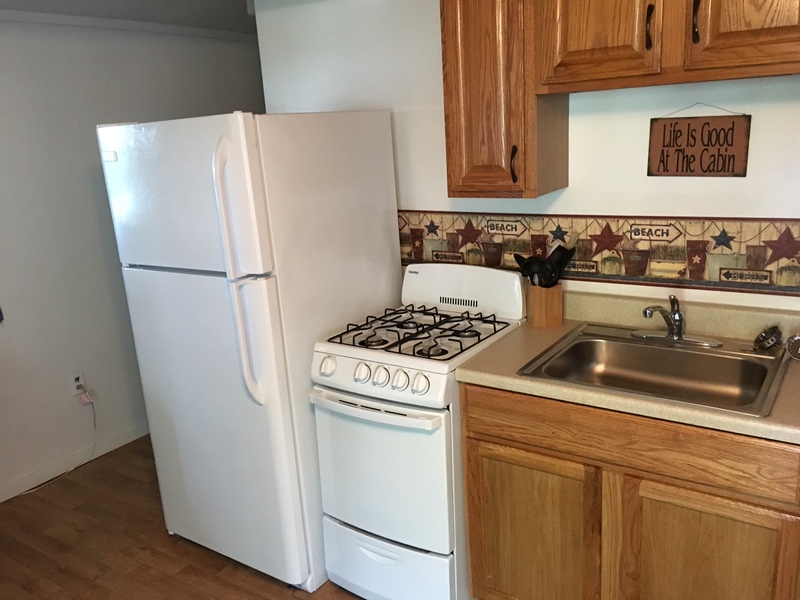 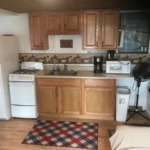 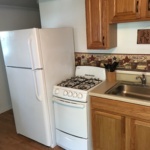 The kitchen has dining table with chairs and has gas stove, refrigerator, microwave, toaster, and coffee pot. 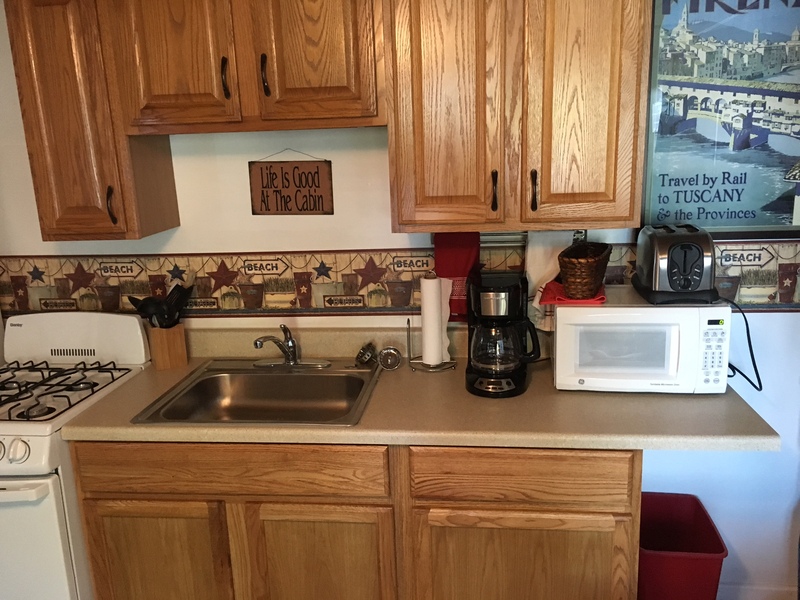 There is cookware, dishes, utensils, and common kitchen items, as well as coffee filters, salt and pepper. 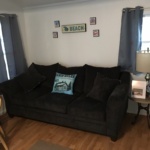 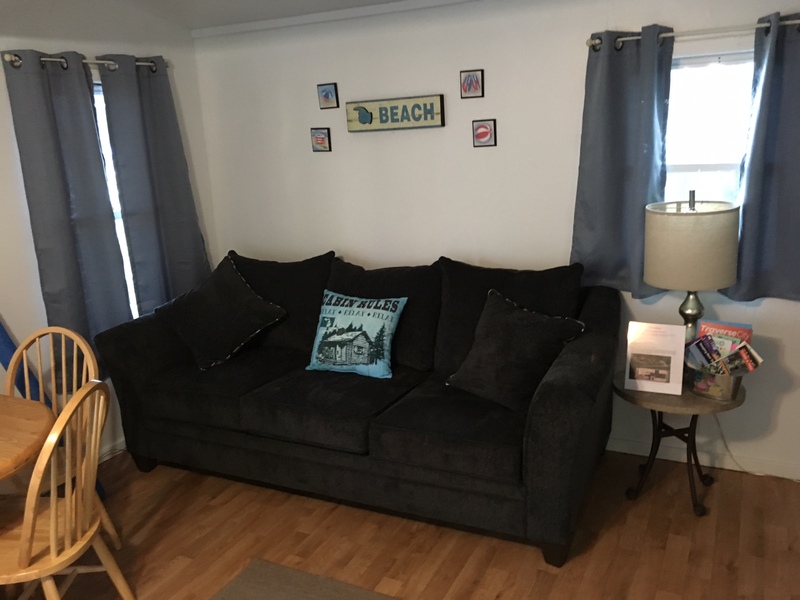 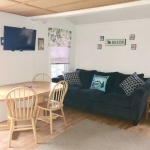 In the living area there is a queen sofa bed, a futon and 32″ flat screen TV with cable and free WIFI. 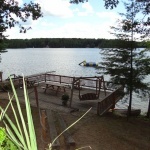 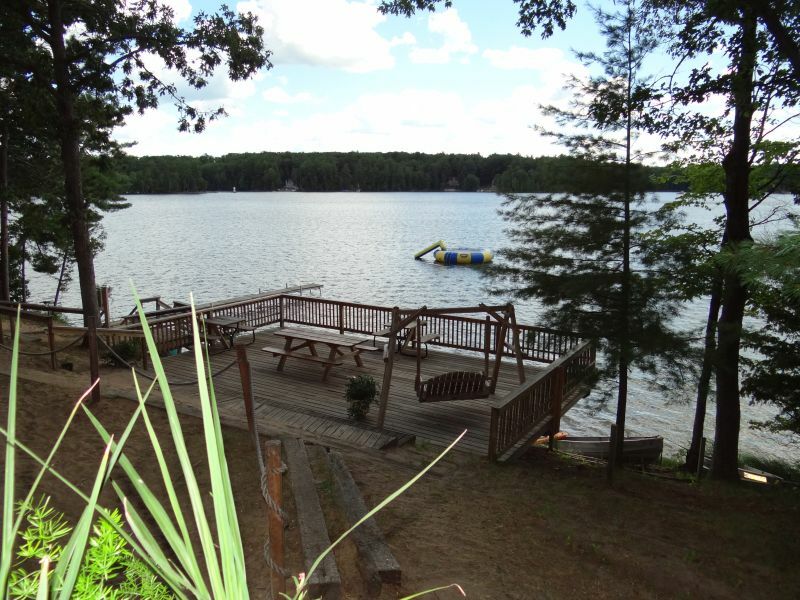 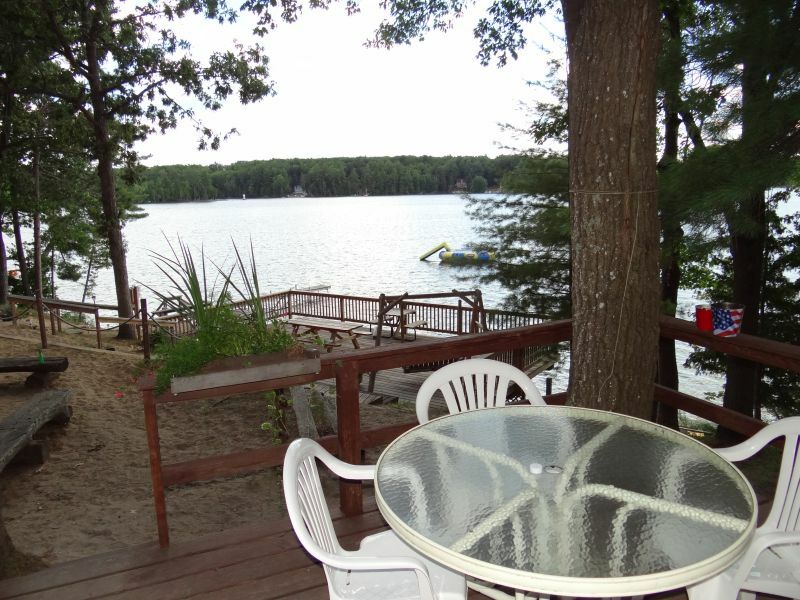 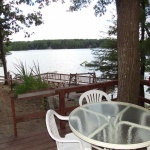 The deck has table and chairs and includes a charcoal grill. 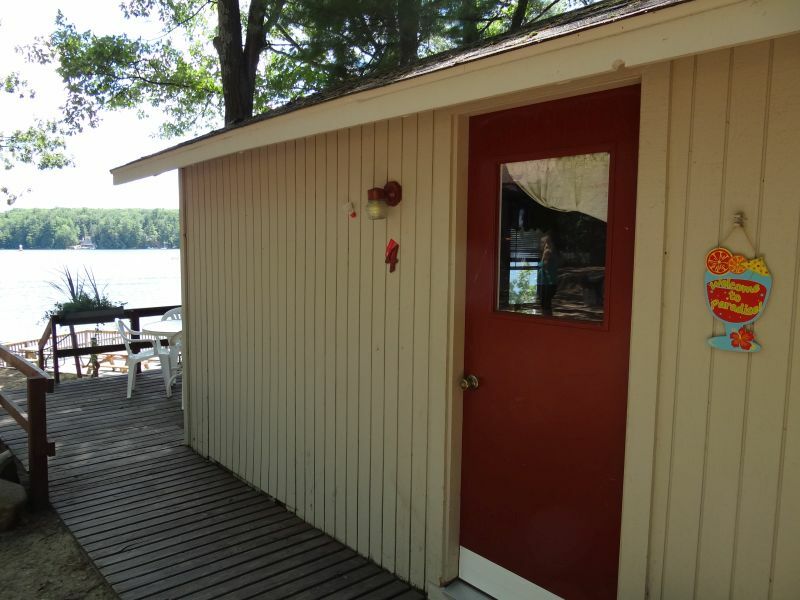 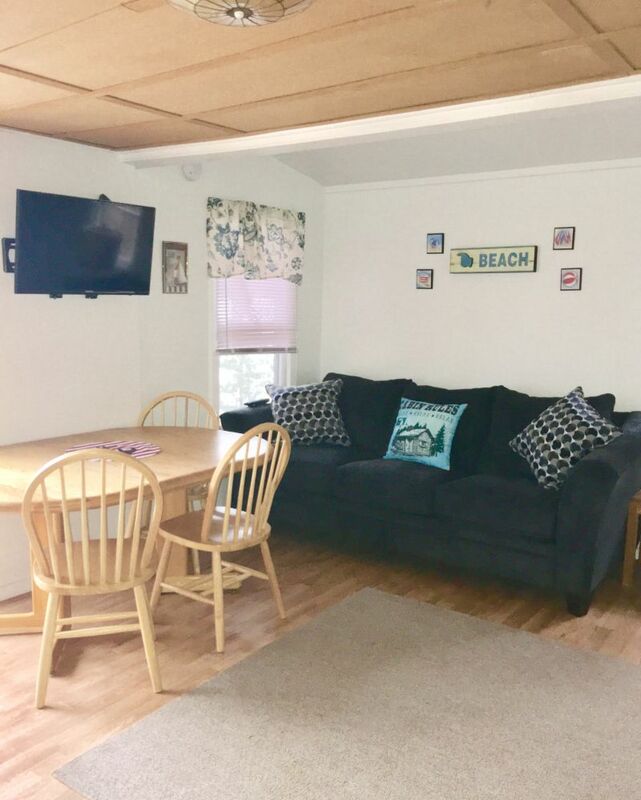 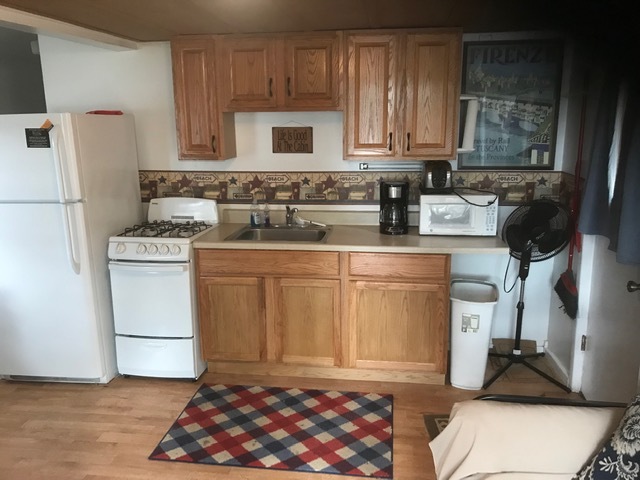 This cabin has portable fans and a portable electric heater if needed.